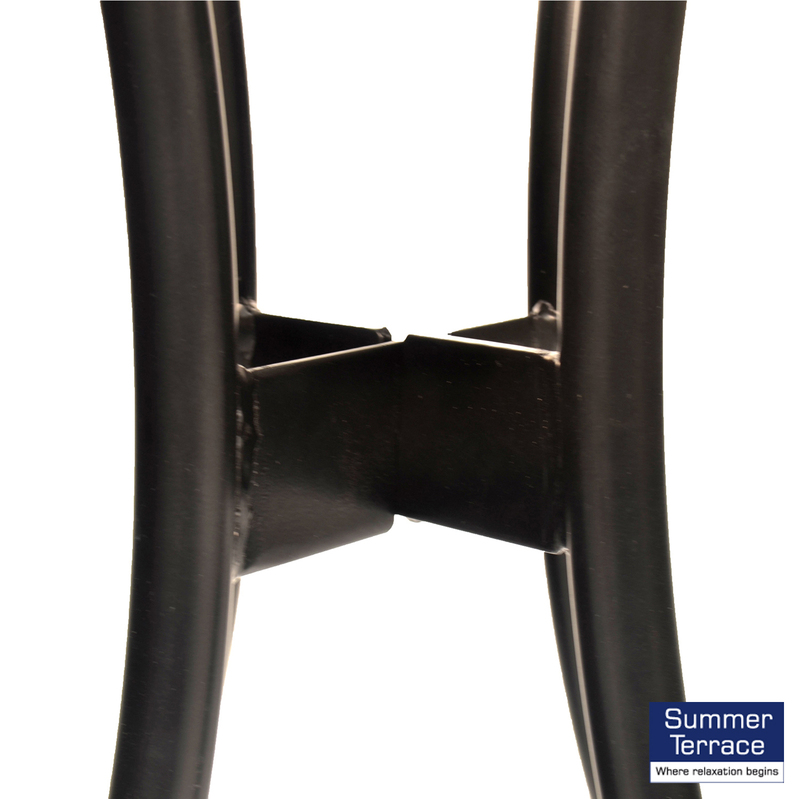 Light weight, easy to assemble and robust, the Kalmar table has a unique design and is complimented by the San Luca stacking steel chair finished in brown resin weave and powder coated black. 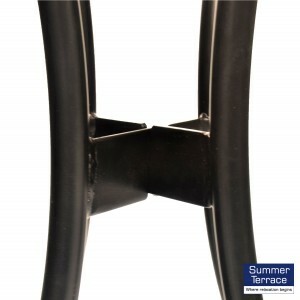 The stacking San Luca chairs are made from tubular steel and will stack. 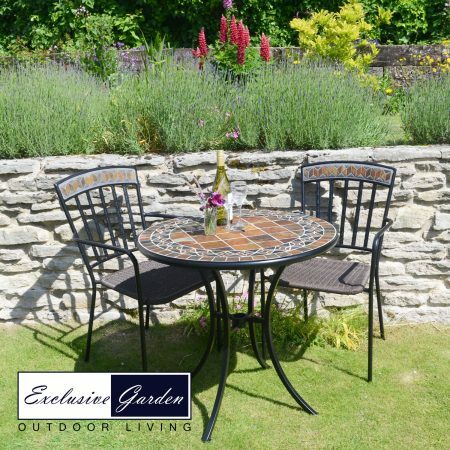 The resin weave is also weather resistant making this set versatile and easy to place anywhere, whether it be in the garden or on a balcony. 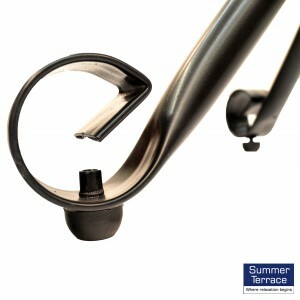 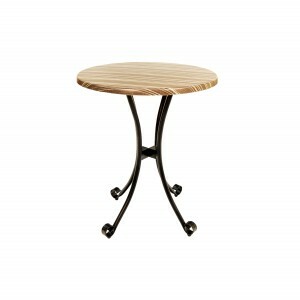 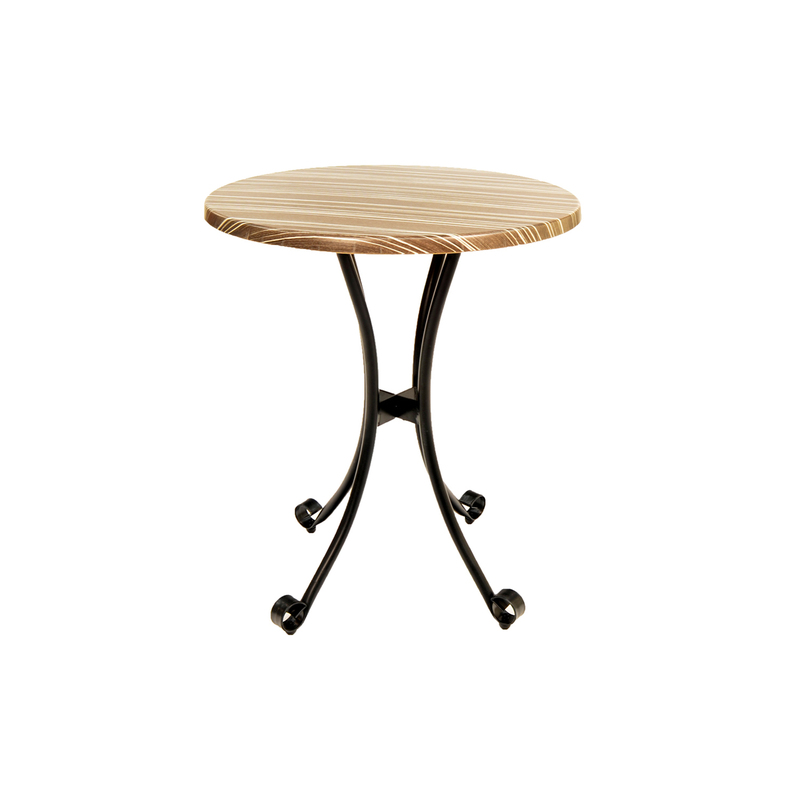 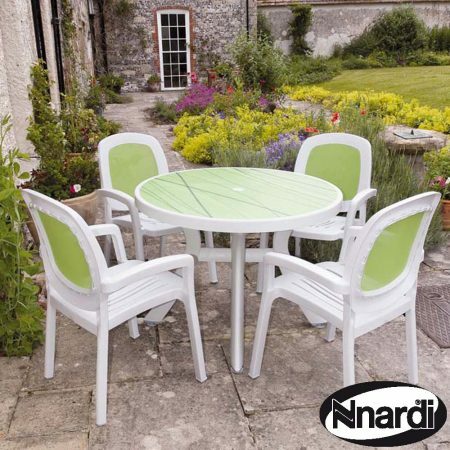 The Kalmar Bistro table has a genuine Werzalit® tabletop from Germany. 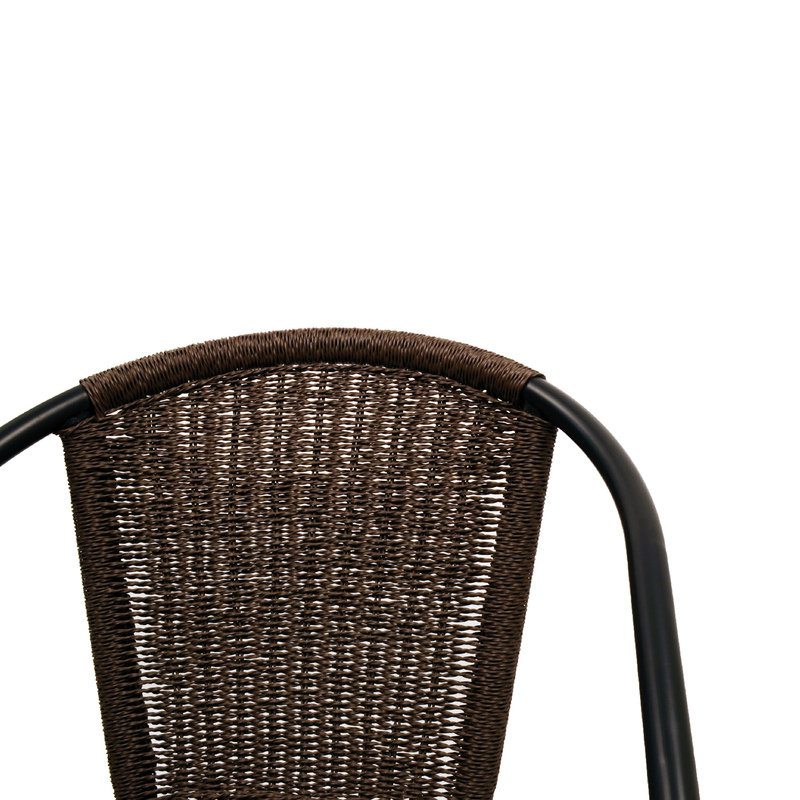 The 60cm. 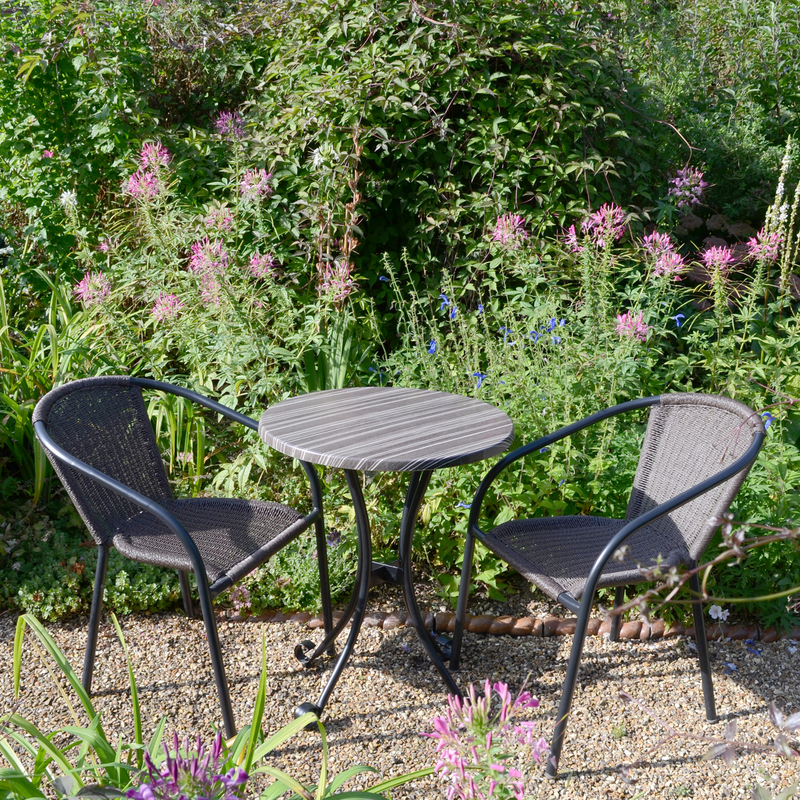 Kalmar table is robust, easy to clean and weather-resistant, on black steel legs and complemented here by the San Luca chairs. 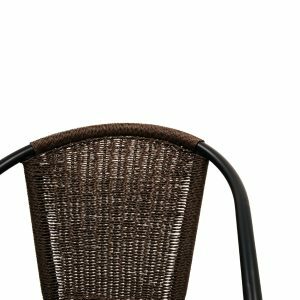 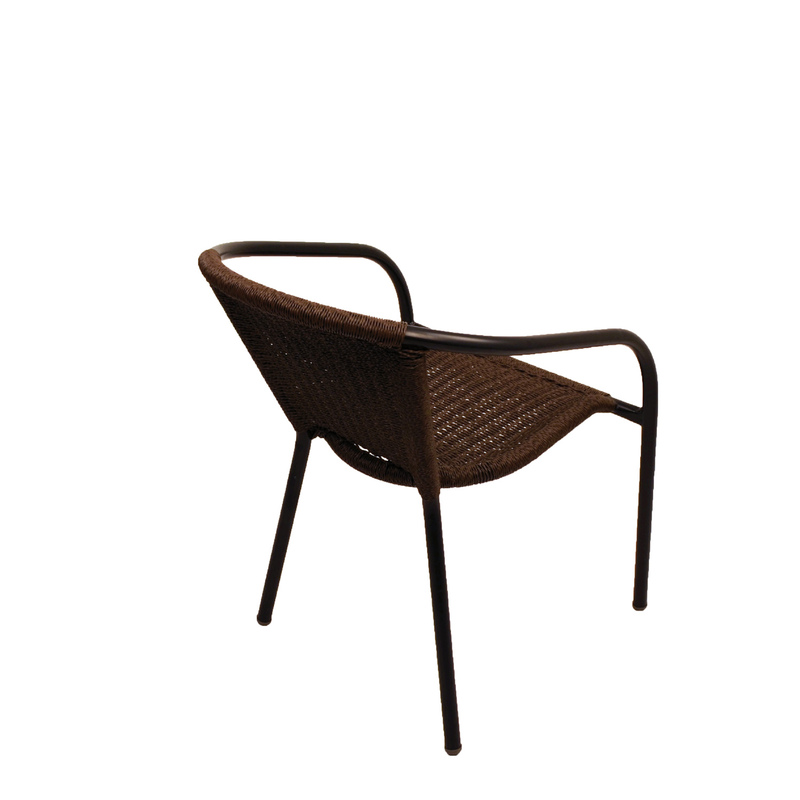 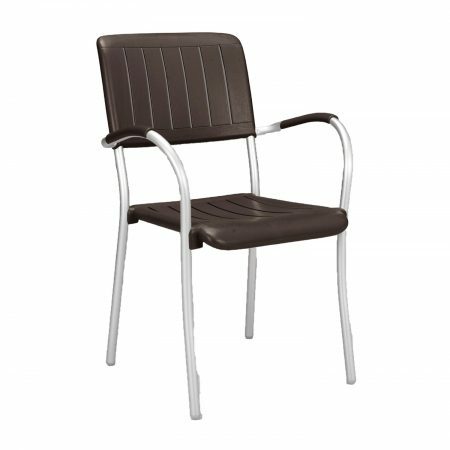 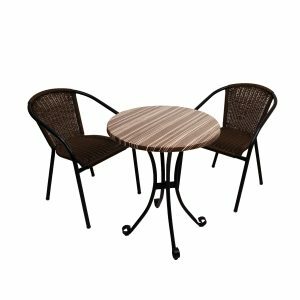 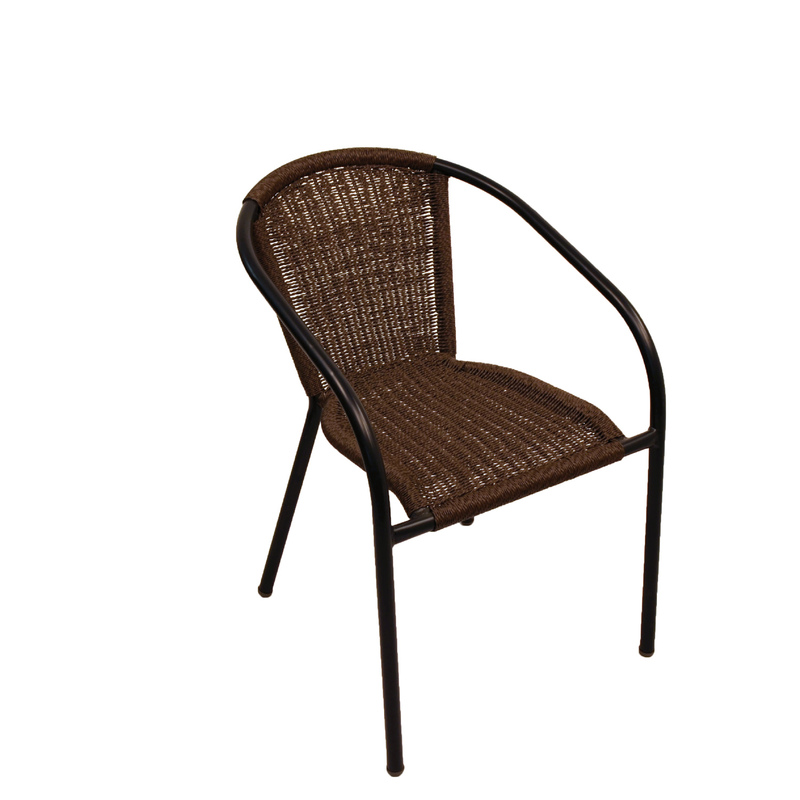 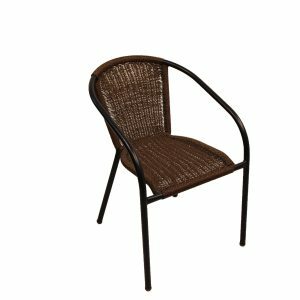 These are stackable have strong steel frames powder coated black with brown twisted effect weather resistant wicker seats and back rests. 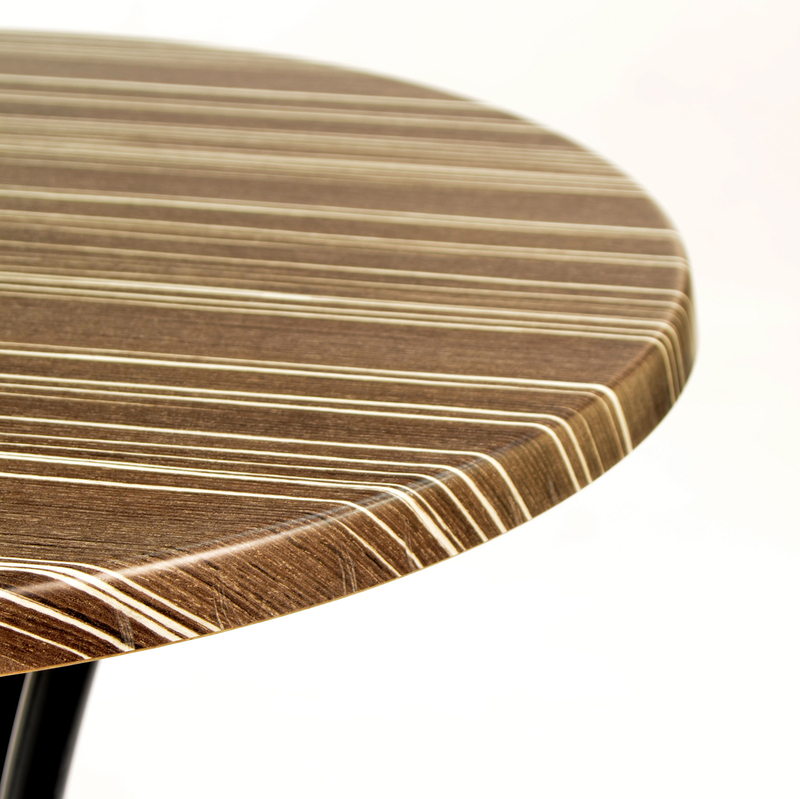 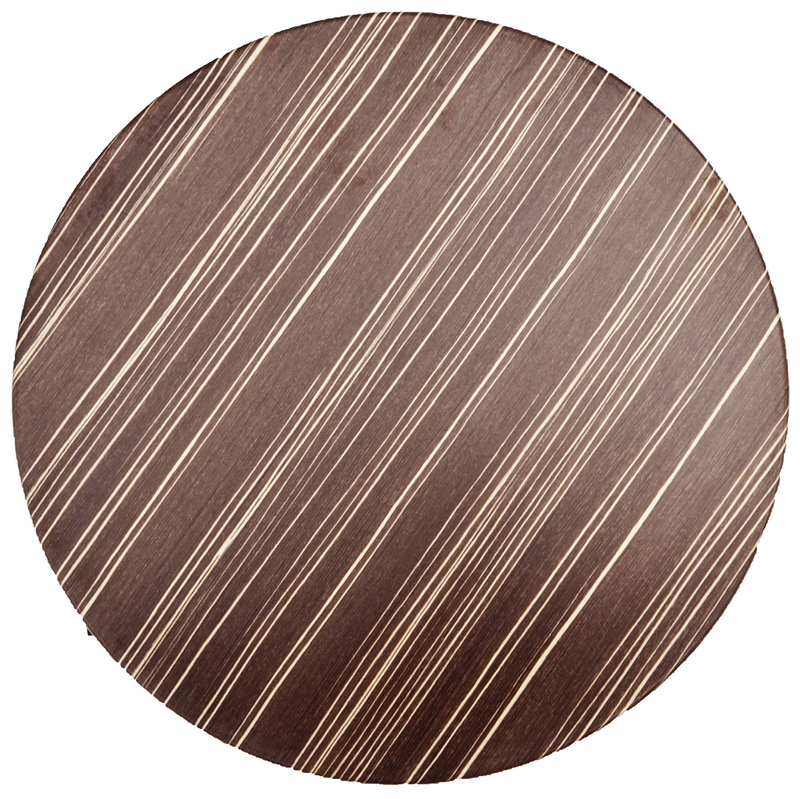 The striped woodgrain effect design on the table top is attractive and serviceable.